Here’s some useful information about some of the whale species that visit Narooma’s waters during their migration. 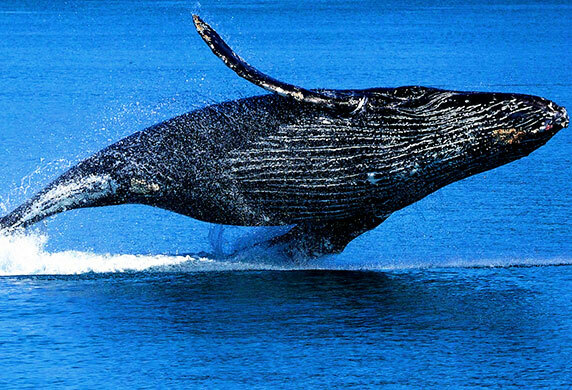 The most common whale to spot along the shores of NSW is the humpback whale along with the southern right whale. 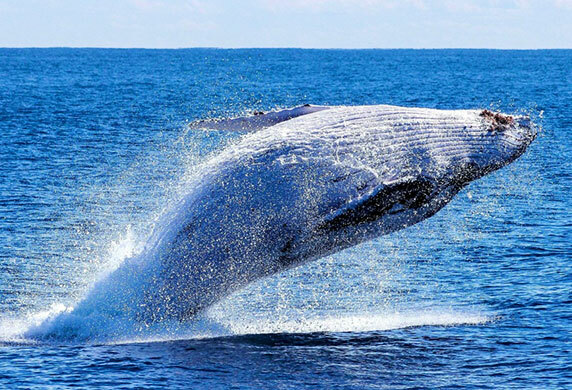 Before you join us on a whale watching tour, here’s some interesting facts about blue whales, humpback whales, sperm whales, southern right whales and minke whales. The blue whale is the largest animal known to live on earth… not even the dinosaurs were bigger! These whales average at 24m in length and can weigh up to 136,000 kilograms. 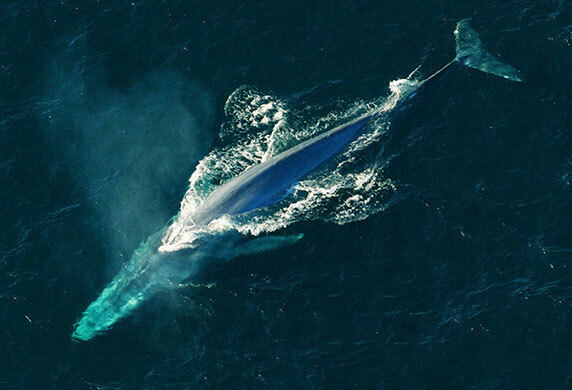 Surprisingly, the blue whale can move at speeds of up to 48 km/h! Diving as deep as 500m, they can stay 10 to 20 minutes underwater. For this species, females are larger than the males. The blue whales have greyish blue skin with white spots. 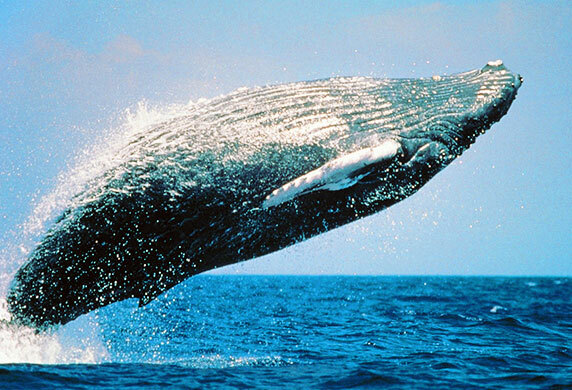 Humpback whales are known for their amazing behaviour – they will leap out of the water, roll in the air then crash noisily back into the water. This action is called breaching and it is still not known why they do it – for us it’s all just part of the fun! Popular theories include that it is done for for communication, or to breathe without sea spray in the air when it’s windy. The slapping of their tails against the water – which is a sight (and sound) to behold – is also thought to be the whales communicating. Humpback whales have a small dorsal fin around two-thirds of the way down their back. The humpback whale’s back steeply arch as they dive – this is how they got their name and helps distinguish them from other species. They have large pectoral fins, which can be up to a third in body length and black and white markings on the underside of the tail. The markings, like fingerprints, are unique to each whale. The female is around 15-16m long while the male can be 13-14m long, like the blue whale the female is bigger in size. In Narooma, the humpback is the most common whale to see on one of our whale watching tours. 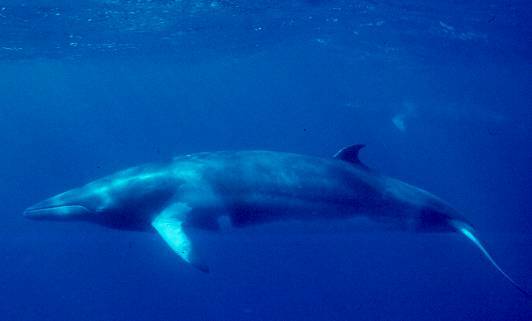 They are the largest of all toothed whales and one of the deepest diving whales. Known to dive over 1Km, sperm whales can stay underwater for an hour. They have a large blunt, squared off head that can be up to around a third of the total body length. They have a relatively small under jaw. The adult males can grow up to 15-18m long and weigh around 35,000 Kg. While the female can grow up to 11m long and weigh 14,000 Kg. They have a single blowhole on the left side of the head and it sits forwards. The bodies of the Sperm whale look wrinkled and shrivelled up. 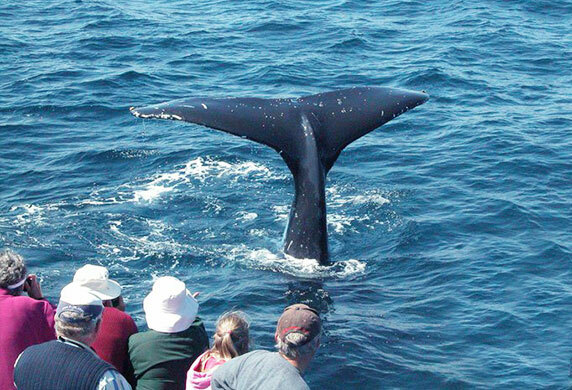 They are one of three species classified as right whales. They are easy to tell apart from other whales, due to their broad back without a dorsal fin, wide pectoral fins and a long arching mouth the begins from above the eye. 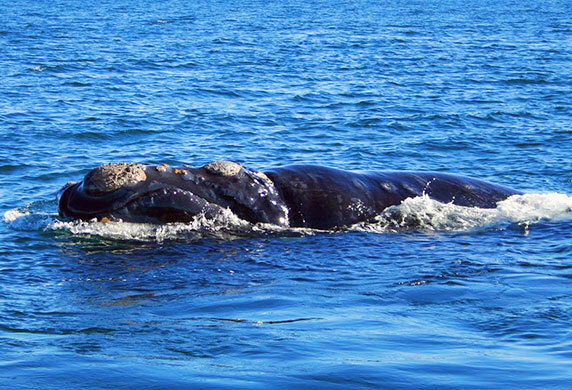 Southern right whales have rough patches of skin or callosities on their large head. Their skin is a very dark grey or black with occasional patches of white on the belly. They can get to be 14 to 18 metres long and weigh up to 80,000 Kg. Southern right whale are also common in Narooma’s waters. They are the smallest of the baleen whales as they can grow to be about 8 to 9m long and weigh between 5,400 to 6,800 Kg. Like all baleen whales, the females are larger in size than the males. They are long and slender and their skin is a black to a dark grey on top with white undersides, they have a slender, triangular jaw. They live on the same diet as blue whales, feeding mainly on small schooling fish or krill. Don’t worry, you’ll see whales! 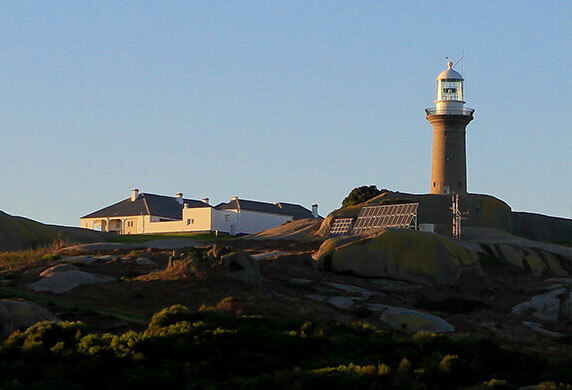 Check out these tours with Narooma Charters!